For Dr. Michael Sulens, there really is no place like home. This Zanesville, Ohio, native grew up in the town where he now practices dentistry. 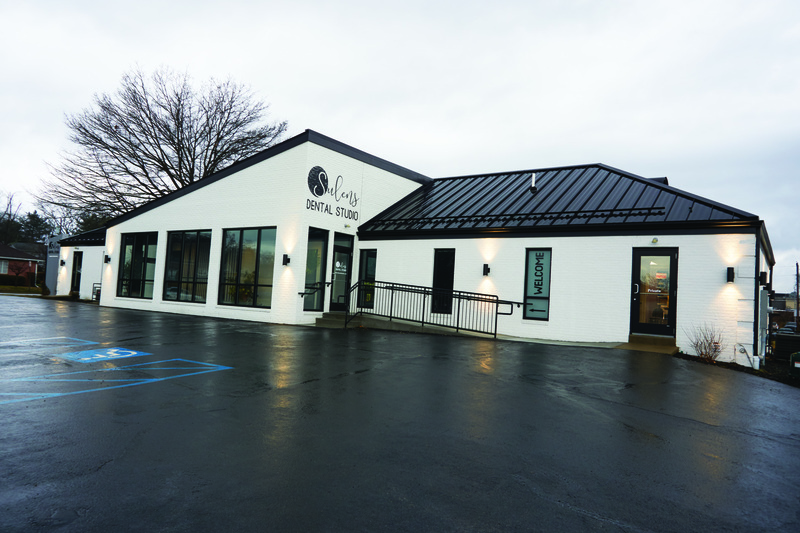 Deeply devoted to his community, he not only returned home with the intention of setting down roots there, but he’s expanded those roots, anchoring them with a new 3,500 square-foot state-of-the-art dental office that he built in August 2017, a practice he renovated after he purchased it from a local doctor. 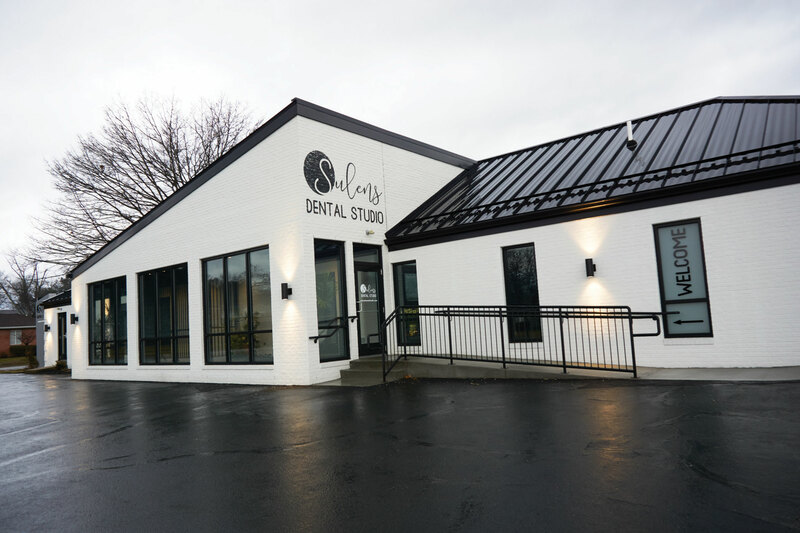 Sulens Dental Studio underwent a dramatic transformation. He gutted the original red brick colonial building that had stood since the 1970s and reimagined it with a sleek, modern asymmetrical profile, which makes it stand out in this town of about 25,000 residents. Its striking exterior hints at the cutting-edge equipment and patient care that awaits inside. 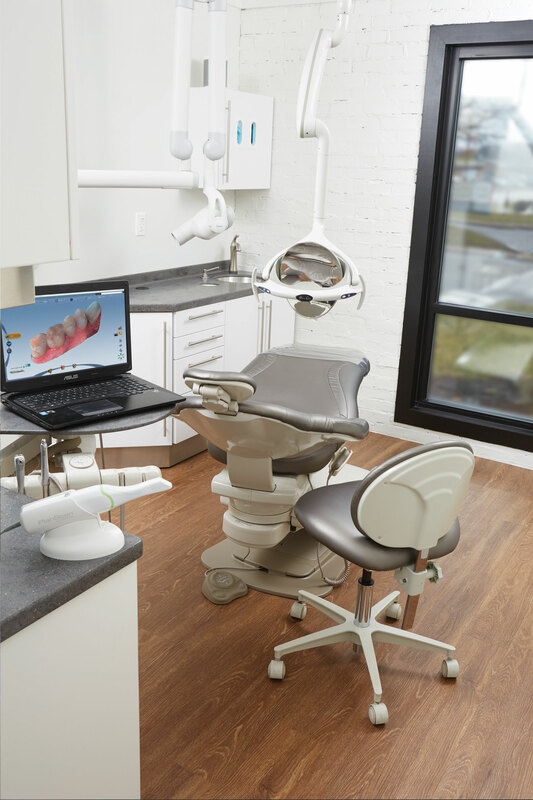 The updated practice features seven operatories, the ability to do same-day dentistry, and an ultra-efficient workflow and spa-like environment—and it has seen new patient growth soar by 65% since the transformation! Dr. Sulens grew up in Zanesville, achieving success as a high school athlete before heading off to college and finding new success in dental school at The Ohio State University. As graduation approached, he learned that a local dentist—a childhood neighbor by the name of Dr. Chris Brauning—was selling his practice. Dr. Sulens shadowed Dr. Brauning and knew immediately that he wanted to work with him. 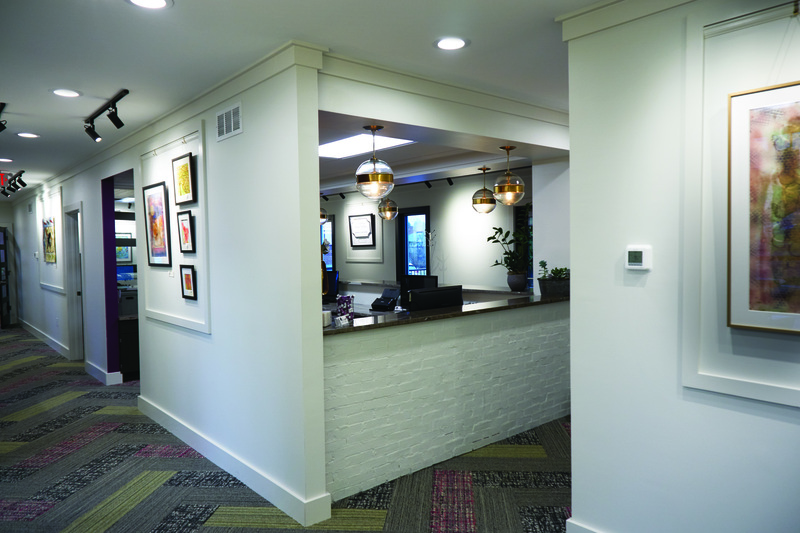 When he purchased the office, Dr. Brauning continued as an associate, and the doctors shared four operatories with two hygienists, which was a cramped situation. And, although the technology was advanced for its time when the office was built in the 1970s, much of it needed to be updated, and the layout needed to be redesigned to accommodate high-tech workflows more effectively. Dr. Sulens briefly considered building in a new location, but his current office had a number of positive attributes. It was in a known location, off a main road, with easy access. It is also close to large employers in the area, and it has great parking and room for expansion. “The building also had great ‘bones’ that made it easy to renovate and design our dream space,” added Dr. Sulens. 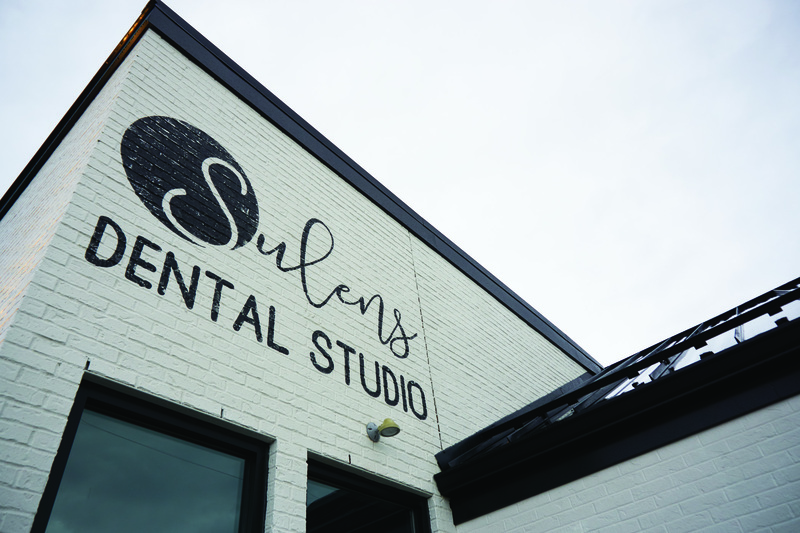 When it came time, Dr. Sulens didn’t renew his tenant’s lease, instead deciding to take over the entire building and expand into the space himself. The interior would be gutted and redesigned, with new equipment and technology. 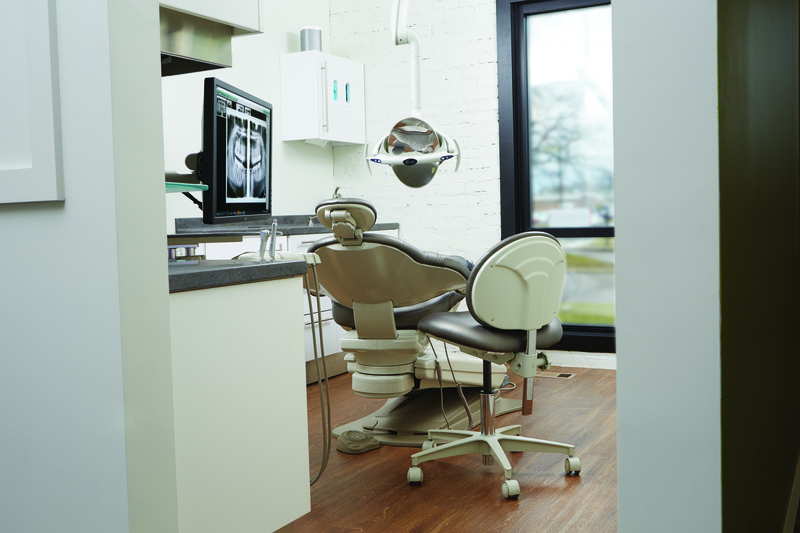 And just as he had since buying the practice, he connected with his Henry Schein team for help with the project. 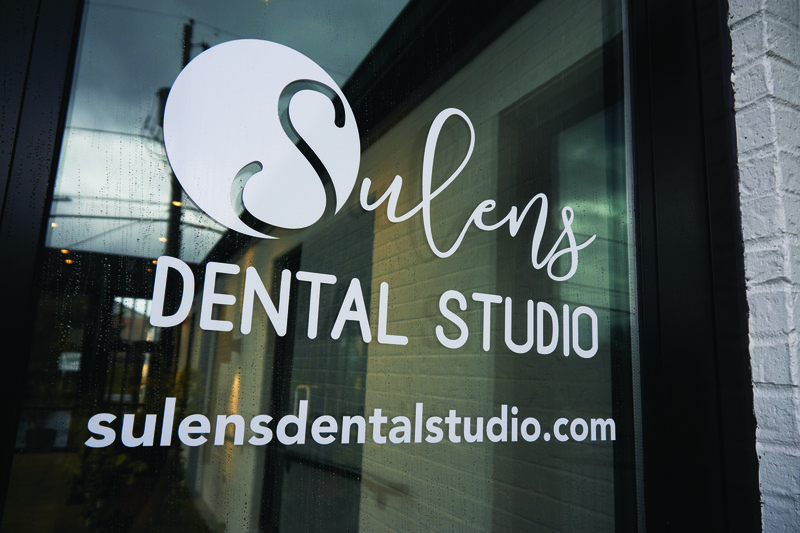 Sulens Dental Studio, originally a red brick colonial style building, was transformed with a massive renovation into a contemporary, cutting-edge practice. The brick, repainted in a crisp white, surrounds the check-in desk. 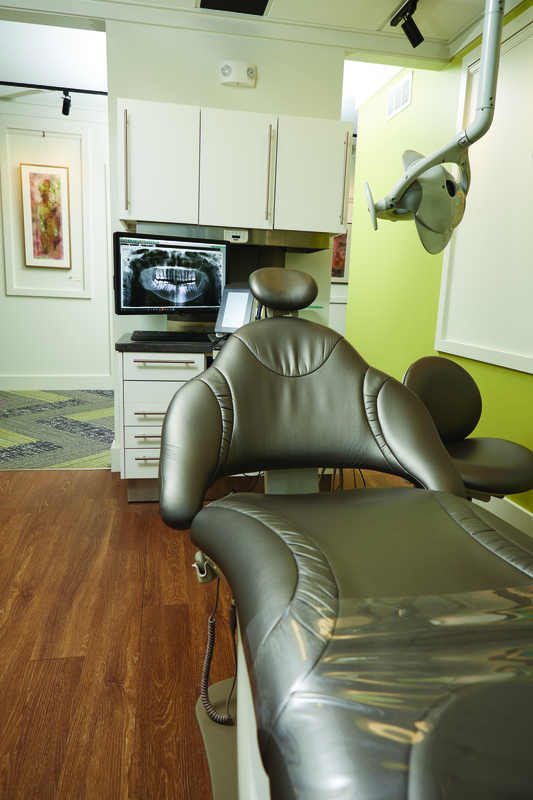 As the relationship grew, Dr. Sulens leaned on his Henry Schein team as he considered his new office plans. He toured many dental offices and attended a seminar on best practices, so he had a clear roadmap of what he wanted to change in his own practice. In addition, the doctor’s wife, Nancy—whose training is in efficiency modeling for the health care industry—was instrumental in developing a workflow that was highly productive and patient-focused. Jay Kohlhaas of the Henry Schein Integrated Design Studio team was recruited to draw up blueprints for the practice, and Mr. Gerboth worked with the local construction team and trusted vendors to manage the project and the phased construction timeline. The crisp white walls are a perfect backdrop for the chestnut colored floors, rich leather Midmark Elevance chairs, LED lights, and Artizan cabinetry. Dr. Sulens chose the line because it delivers excellent value and is a Ohio-based, local company, too! The renovation also involved structural changes, including bumping out the front of the building (which now holds two hygiene treatment rooms), incorporating stairs inside the building instead of only outside as they were previously, and ensuring all of it was done with an eye for beauty. When the project was completed, the exterior delivered a dramatic change. Its white pillars and stately front porch were gone, replaced by a massive angled metal roof in black, white painted brick, and a simple, flat façade lined with oversized vertical windows. Inside, the Reception desk takes its design cues from the white brick exterior, and is topped with dark granite countertops and gold-accented globe lights. The lively carpeting pulls out the deep violet paint on the wall behind the desk, which features a unique logo wall, fashioned from an eight-foot slice of natural wood. 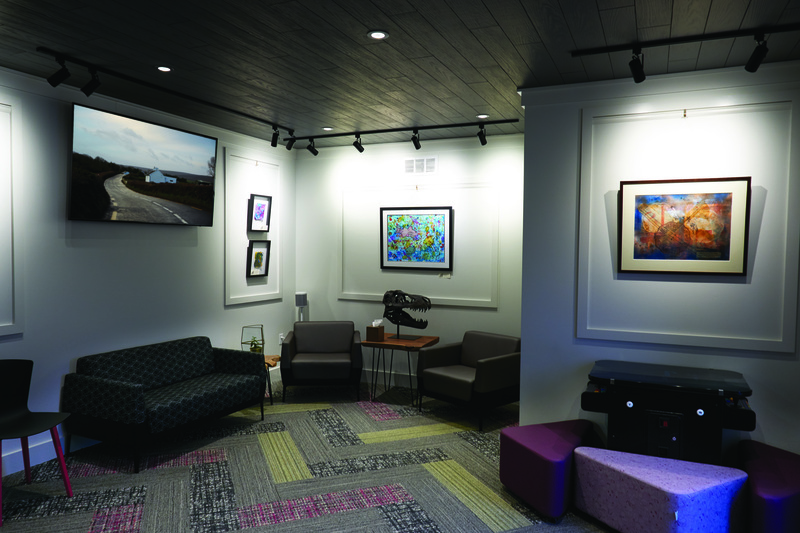 Most of the remaining accents are white, which provides a serene backdrop to the colorful works on display from local artists, which rotate quarterly. 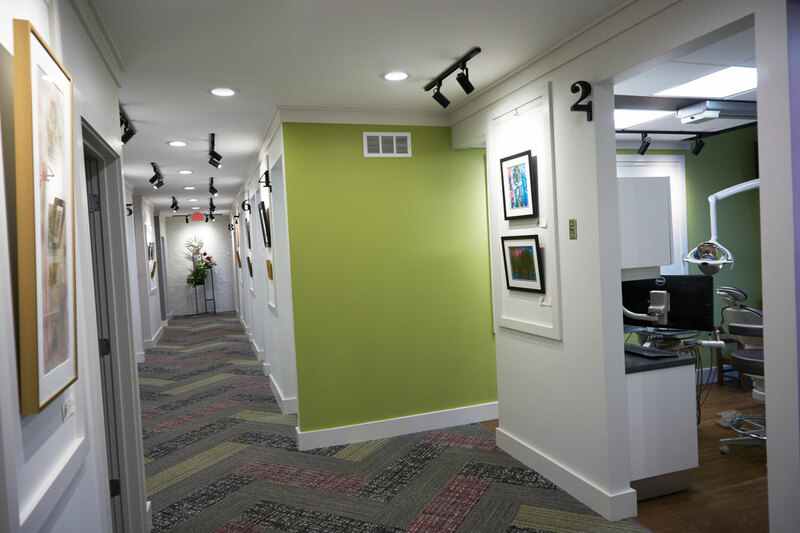 Dr. Sulens grew up in Zanesville, and is deeply involved in the community, which is why he embraces local artists and displays their work throughout his bright and vibrant practice. 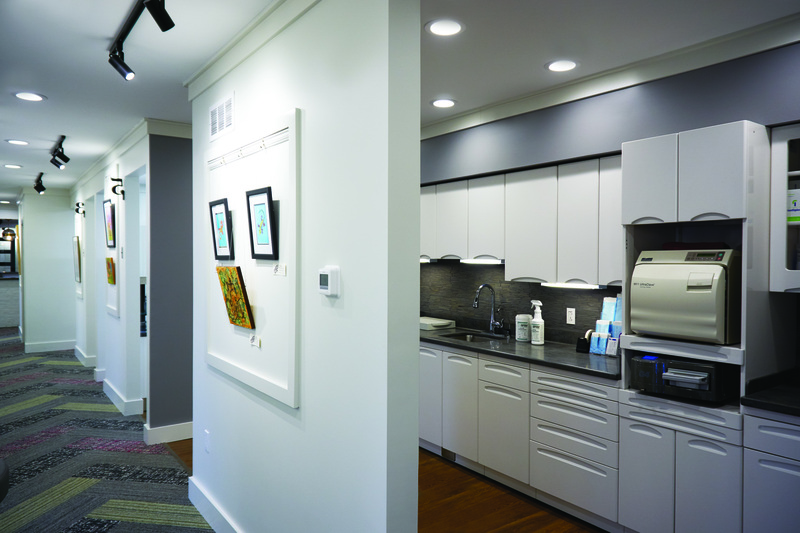 The operatories in the renewed space are larger and universally adaptable for both hygiene and restorative procedures. The Midmark Elevance chairs are refined in supple leather. 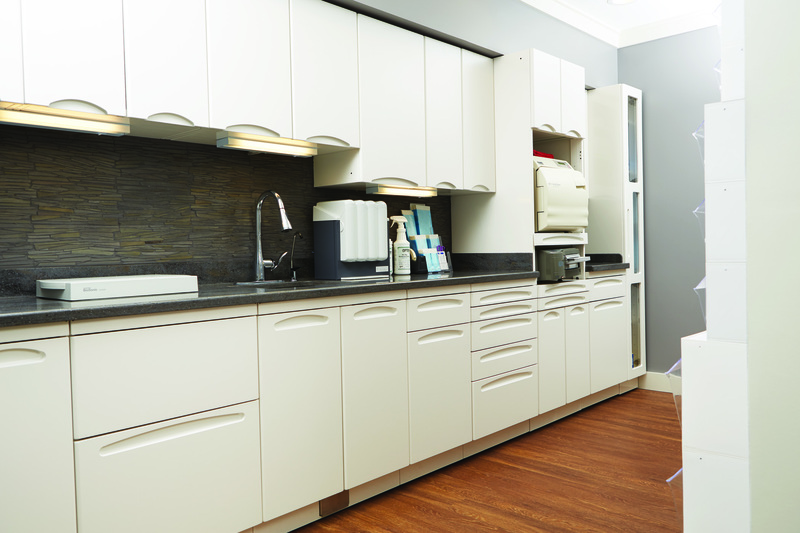 White Artizan operatory 12 o’clock cabinets and rear delivery units build a crisp, uncluttered feel inside the treatment rooms, which have dual entrances for greater traffic flow and productivity. 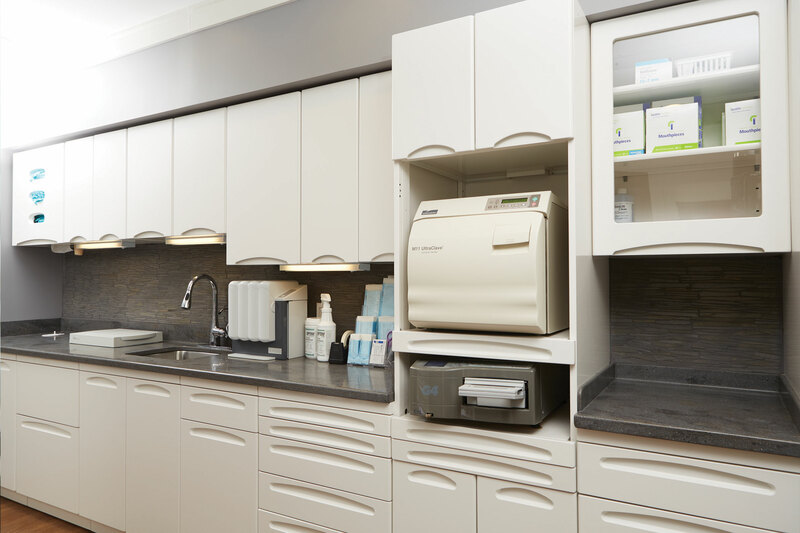 The Midmark Synthesis sterilization center is a walk-through configuration that offers a generously sized space to accommodate the workflow and turnover of seven treatment rooms. Further down the hall, the Synthesis sterilization center has a walk-through design with separate entry and exits. It’s located close to the cluster of treatment rooms, and its dark gray solid surface counters atop the white cabinetry have plenty of room for dirty-to-clean processing. Plus, the doctor’s Planmeca panoramic X-ray unit is out of the sterilization room for good and is now tucked into a separate imaging alcove near the front of the clinical area! The doctor selected the Planmeca ProMax because of good reviews from colleagues and its ability to capture extraoral bitewings. Because the office was designed with a special focus on Lean and Six Sigma principles of efficient resource usage to deliver a patient-focused experience, a key part of the office’s infrastructure is a computer network that ensures all the technology works seamlessly together. 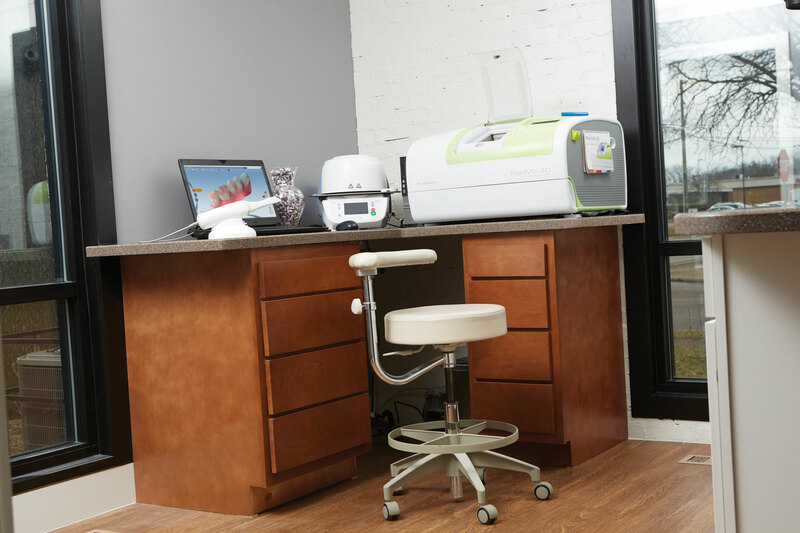 Henry Schein TechCentral handled the planning and installation of the components, which are interconnected from the front of the office all the way through the clinical area and into the lab in the basement. 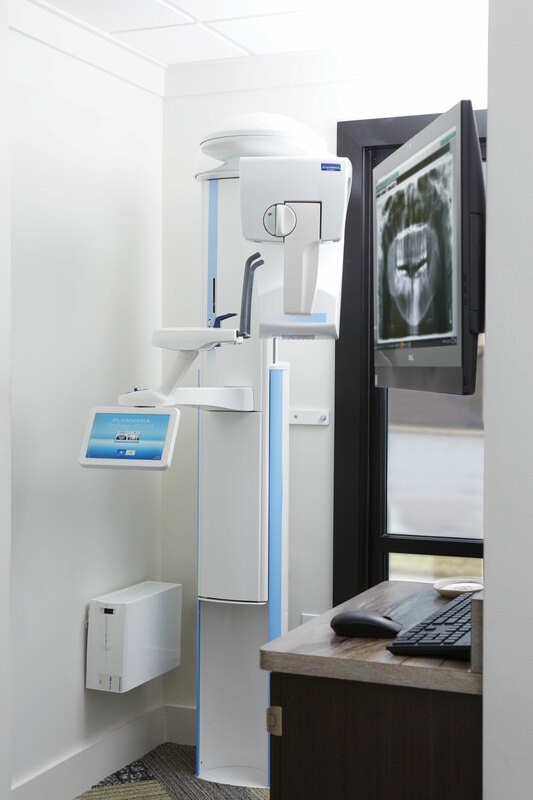 The Planmeca ProMax sits in its own imaging alcove, an improvement from the days when patients had X-rays taken in the sterilization room! Its bitewing imaging functionality was a selling point for Dr. Sulens, as were the positive reviews from other doctors. The doctor didn’t add new services to his roster; he was already offering most services in-house, including endodontics and implant dentistry. However, he has noticed an uptick in patients who are expressing an interest in cosmetic dental treatments. 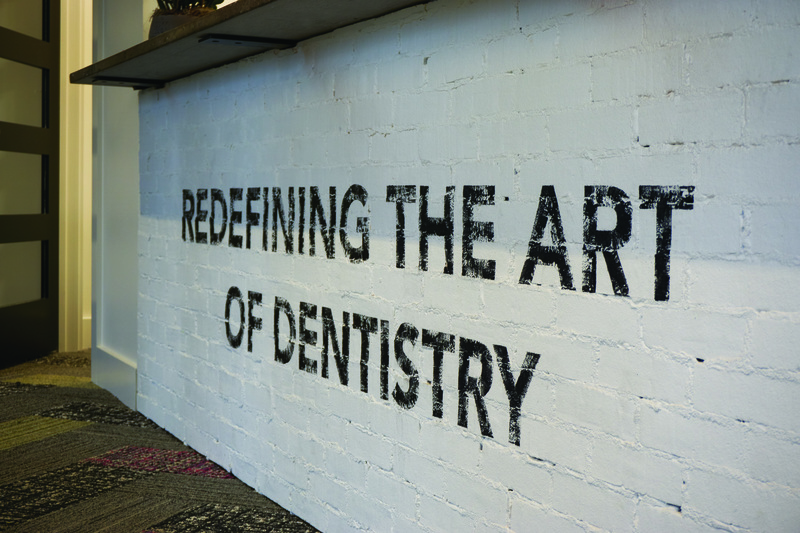 Same-day dentistry, which the doctor adopted back in 2014, continues to be a strong driver of the practice’s productivity. 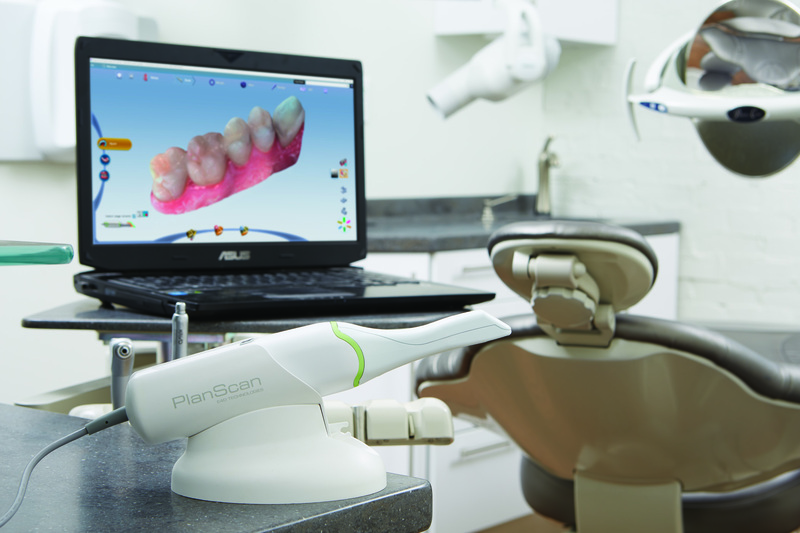 Dr. Sulens is able to do crowns in-office thanks to his Planmeca FIT CAD/CAM system, which includes the Planmeca PlanScan intraoral scanner and Planmeca PlanMill 40. 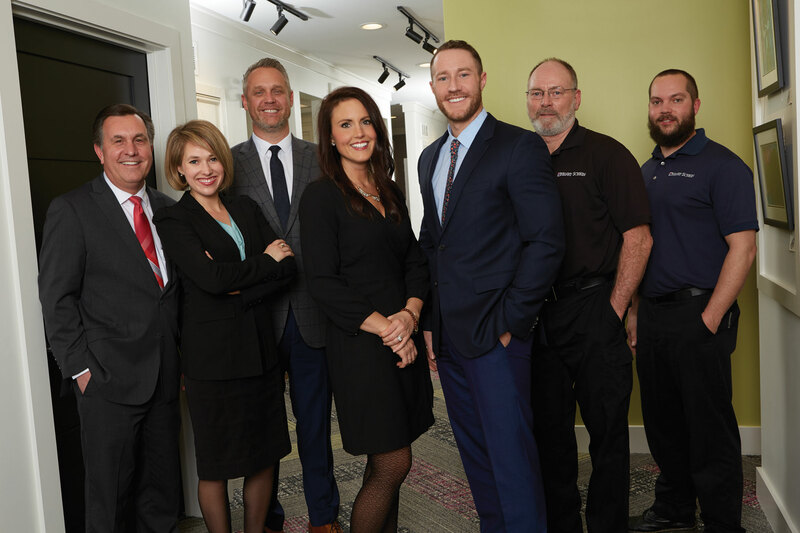 So, patients are thrilled with the new gorgeous dental option in Zanesville, often proclaiming that they can’t believe this type of practice is actually in their quaint city. And Dr. Sulens’ staff is equally as excited! Dr. Sulens included them in many of the decisions, so they truly can claim a sense of pride and ownership over the new office. Now, after operating out of the new and improved space for nearly a year, the doctor can reflect on the building process and the advice he would share with colleagues who are contemplating a new office. From Left to Right: Butch Stenger, Regional Manager; Molly Trumbo, Field Sales Consultant; Brett Gerboth, Equipment Sales Specialist; Nancy Sulens, Office Manager; Dr. Michael Sulens; Jerry Porter, Equipment Service Technician; Scott McWhinney, Equipment Service Technician.